A University education used to mean something. It imparted more than some scrap of paper (and the requisite cavern of debt to start life) at the end of four or more years. It meant more than a good vocation. It rewarded the diligent and the disciplined with a lifetime all the fuller for what it could give not what it could get. Political campaigns only expose the barren wasteland that all too many universities have become. Today we see more professors invested in the short-term of partisan activism than the long-term devotion for truth, beauty, and virtue. Instead of being rich gardens engaged in the active cultivation of servant-minded leaders ministering in a thousand ways to the good of others, public and private, many universities are thinly disguised prisons. All too many bar the spirit of inquiry as it naturally strays from political orthodoxy. Universities are too often engaged in the vanity of congratulating themselves for their liberation from all the “sins” of the past while in reality, they are running headlong, like mythic Oedipus, into some of the worst of them – with the height of self-deception. They are busily shackling human potential and demanding every thought march in conformity with the pronouncements of the holy church of Academia. Campuses are adorned with every aesthetic value but like white-washed tombs, what about the human souls within them? 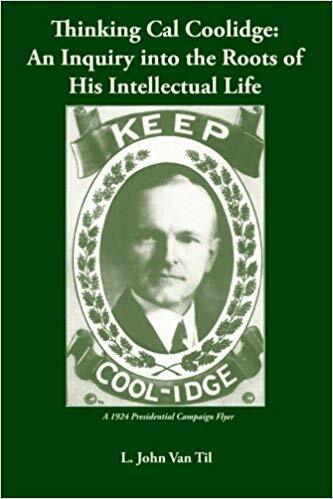 Calvin Coolidge spoke extensively on education throughout his life of public service. It concerned him not only as the last President to enjoy the training of a classical education but for how the institutions were changing to the detriment of students, teachers, and the nation as a whole. He could see that while a certain measure of it was but a reflection of the culture, universities were not heading forward in a productive direction but backward toward ignorance, bigotry, and nihilism. Universities had started as repudiations of the closed mind, narrow temper, and callous conscience that anyone could pick up without trying. Universities had been formed by those seeking far more: an appreciation of the sweeping vistas of essential truths, nourishing not only an open mind and unprejudiced heart but a selfless soul. The students and professors who began centuries ago the project we call Scholasticism were not about mastering trivia, progressing to the place where finally in 2017 we would be worthy enough to take courses like Gender Studies and Global Poverty and Practice. They were searching for the fundamentals and essential foundation stones that moved the world – in all its designed beauty and variety. They sought to distinguish the great ideas from the non-essential ones, to drink from the vibrant head waters of universals not the stagnant pool of useless particulars. They set out to understand the world comprehensively, to glimpse the whole cloth not just a few fibers of it, knowing that everything and everyone has each a proper place, a designed purpose, and a role to carry out in a universal plan. It was a plan not worked out through mortal hands but woven together and set down in the mind of Almighty God before the world was. The quest means something because He first gave it meaning. Life was not to end in meaninglessness and despair. History was not some endless cycle; It was going somewhere. The universities reminded us of those realities. They were not merely engaged in theoretical or abstract exercises but engaging in the very heart of life’s fundamentals. The universities held aloft an oasis offering refreshment every time we return to a consideration of those truths. If we kept to the essential currents and avoided the shoals and rocks of outlying peripherals, we would discover eternal principles. We would preserve things infinitely more valuable than the ongoing pursuit of particulars that keeps luring us further away from redemption and deeper into a damning web of our own making. With eternity drawing ever nearer, we would do well to return once again to the wellspring at which the universities began and find that truth has not failed us, we have failed it. 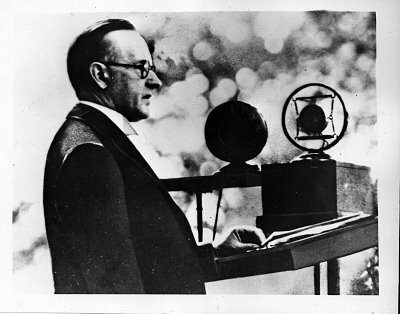 Vice President Calvin Coolidge with citizens of Elizabeth, New Jersey, July 1, 1922. Courtesy of the Elizabeth Public Library. “Our higher institutions of learning are not the apex of our system of education. They are its base. All the people look up to their influence and inspiration. They must be under the guidance of men of piety and men of an open mind. They must continue their indispensable service to the cause of freedom by bringing all the people unto a knowledge of the truth…America lays no claim to the discovery of the theory of freedom or self-government. Its glory lies in the ability of its people to put those theories into practice, not merely the power to state them but the capacity to live up to them. The universities would do well to navigate free of the mire they have courted and that currently ossifies all in contact with it. This is why starting anew on proven foundation stones is perhaps the one way out of the corroded and crumbling mess. There is no salvaging the wreck left by too many institutions committed to riding over the cliff with Postmodernism at the wheel. Starting over, we would discover a revitalization long absent if we dared embrace the spirit and courage the founders of the original universities had. These new institutions would resume the enterprise of growth that truth makes possible and find rest for parched human souls once again.